For the first time in Montgomery County, two fire departments along with the Montgomery County Hospital District will share a new facility near Montgomery to provide services to the area and save millions in tax dollars. The Emergency Services District No. 2 (Montgomery Fire Department), ESD No. 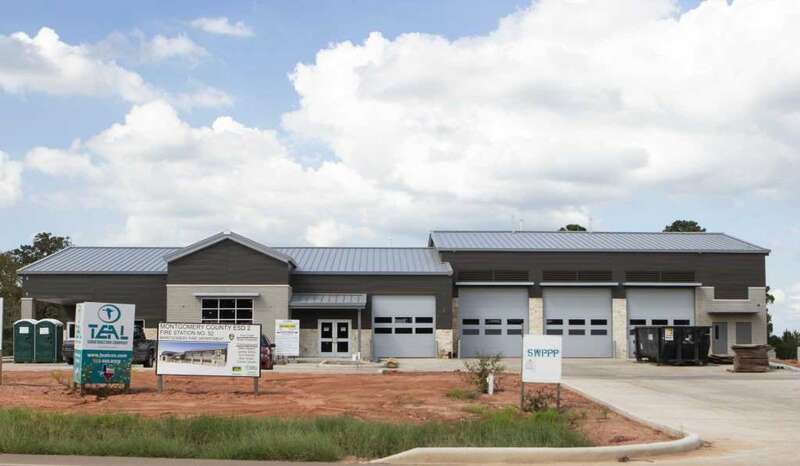 3 (formerly the Lake Conroe Fire Department) and MCHD have collaborated on station that will span more than 8,200 square feet. The station is located at 19530 Keenan Cutoff Road. “This is a very unique location and close enough to benefit both Fire Districts in providing protection and lower citizens insurance rates,” ESD No. 2 Chief Brian Edwards said. “This area has been in need of fire protection, EMS first response, and an EMS transport unit”. According to Edwards, the boards of all three entities have worked it out where all three will man and equip the station together avoiding each entity having to build separate facilities.